New piece for the "2017 Collection". This Shaker-inspired curio cupboard will showcase your best keepsakes and treasured collectibles on two glass shelves. 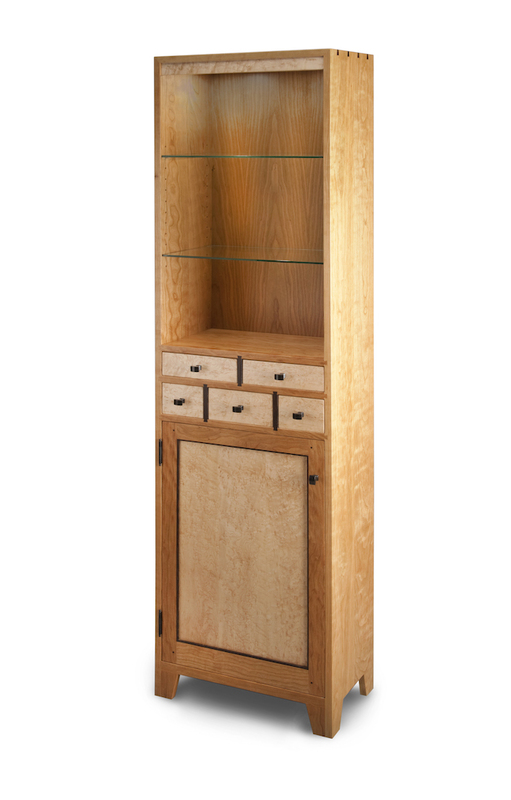 Traditional with a modern flare, the curio cupboard is built to last a lifetime, and nothing says "heirloom quality" like solid cherry wood, bird's eye maple and wenge accents. Standing tall, this meticulously constructed lighted cabinet's door panel is bird's eye maple with two adjustable shelves inside. Five drawers open with metal pulls, aromatic cedar drawer bottoms. 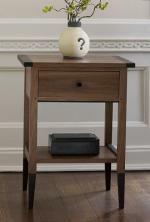 No stains are used; the natural color of the cherry wood is enhanced by a clear lacquer finish. Uses LED lighting bulbs (included).